"They did a great job showing up every day and getting the job done. It turned out great, both the vinyl siding and solar system." "I wanted to save a lot of money, and two years after my solar panel installation, I have saved over 80% on my electric bill"
Solar photovoltaic (PV) systems are popular, and it's easy to understand why. Solar energy is the ultimate renewable energy source — green, nonpolluting, and universally available. What makes solar PV even more attractive these days are lower prices. Thanks to advances in PV technology, the cost of solar cells continues to come down, making solar power systems more and more affordable. Local and Federal incentive programs sweeten the deal even further. Pinnacle Exteriors can help you decide if a solar photovoltaic system is right for you. We can right-size and install a solar panel array. Contact us today for free estimates on solar panel systems in Northampton, Whitehall, Emmaus, Center Valley, Orefield, Brenigsville, Schnecksville and nearby in Pennsylvania! We also offer whole home energy audits to inform you of all the potential ways you could be saving money and energy. While you can't see the solar on the back of this home, we assure you that it is there. Check out our photos of this finished job for proof. 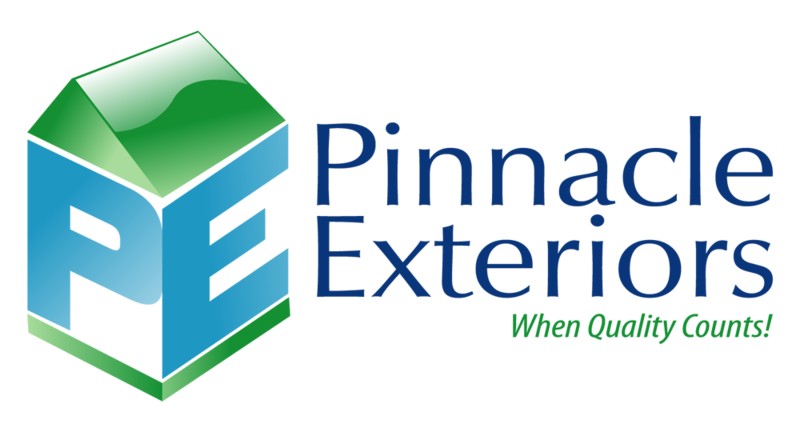 If you like what you see, Pinnacle Exteriors can provide the same to your home, and we would love to do so. Fill out the free estimate form and let us know a good day and time to provide you a free estimate. A typical "grid-connected" solar PV system allows the home to use solar electricity as well as electricity supplied by the local electric utility. 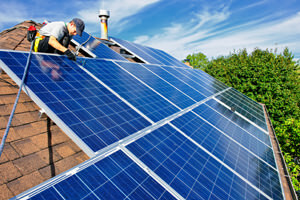 Solar panels can be mounted on a south-facing roof or on the ground. Sometimes trees must be trimmed or cut down so that panels can receive maximum sunlight. The direct current (DC) produced by the solar cells is converted to standard alternating current (AC) by an inverter, then fed through an electric meter, just like the electricity that comes from the power company. With your solar panel installation complete, you'll never have to worry because a solar PV system is nearly maintenance free. Panels will keep producing solar electricity for 25 years or more. 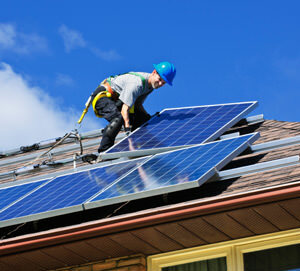 Not many solar energy companies have all the solutions and services that Pinnacle Exteriors has. Trust our professionals to provide the best options for your home! Call 1-855-576-3461 or contact us online to schedule a free solar photovoltaic system estimate and see if a home solar powered system is best for your residence. We offer solar services in Emmaus, Whitehall, Northampton, Orefield, Brenigsville, Schnecksville, Center Valley, New Tripoli, Catasauqua, Fogelsville, Slatington, Zionsville, Macungie, Coplay, and throughout the surrounding areas.